This course was recently voted the "Best Public Course" at the Lake of the Ozarks by Lake Sun newspaper readers. Set amid a backdrop of wooded areas, rolling hills and creeks, Eldon Golf Club is sure to provide a pleasurable experience for golfers. Zoysia fairways and an upgraded bunker system, lead to accommodating greens. The exceptional layout offers four tee locations to challenge golfers of all skill levels. Course facilities include a driving range, video analysis by PGA professionals, pro shop, clubhouse and snack bar and swimming pool. 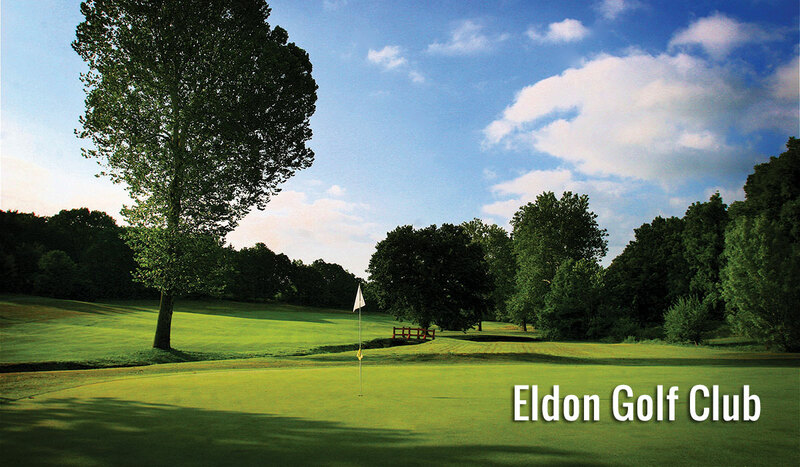 The memorable experience offered by the Eldon Country Club course is enhanced by the friendly staff, who attend to every golfer's needs. Tee times can be made up to 7 days in advance. Golf season is year-round, weather permitting. Location To reach Eldon Country Club from the Lake of the Ozarks, go north on Hwy. 54. Take the first Eldon exit (Hwy. 52/Business Hwy. 54), toward Eldon. Go two miles; the first blacktop road to the left, Golf Course Road, leads to the course.